If you want to take a good stroll down memory lane, new research suggests you’d better get out of that chair more often. The prospect of thinning in the brain’s medial temporal lobe should spark plenty of worry. Some loss of volume in this region occurs naturally as we age, and the result is poorer episodic memory — the kind which brings to mind events in one’s past. But shrinkage of the brain and its memory centers becomes particularly pronounced in dementia, and thinning of the cortex probably contributes to that. Even before Alzheimer’s disease steals memories, the condition begins to change the density and volume of the hippocampus and the entorhinal cortex, memory-making structures that lie at the heart of the medial temporal lobe. The findings are based on interviews and tests of 35 cognitively healthy people from the ages of 45 to 75. Researchers at UCLA’s Semel Institute and its Center for Cognitive Neuroscience queried the volunteers about their physical activity patterns and scanned their brains in an MRI. Then they gauged how self-reported sitting time or physical activity levels corresponded to thickness in these critical brain structures. The study subjects reported average sitting times of three to 15 hours a day. After adjusting for their subjects’ ages, the researchers found that every additional hour of average daily sitting was associated with a 2% decrease in the thickness of the medial temporal lobe. The research suggests that, compared with a person who sits for 10 hours a day, someone of the same age who typically sits for 15 hours would have a medial temporal lobe that’s 10% thinner. And that, said study leader Prabha Siddarth, represents a lot of missing brain. Neuroscientists frequently measure the brain’s volume. But examining variations in the thickness of a particular structure is a more revealing way to look at differences among individuals, said Siddarth, a biostatistician and quantum chemist at UCLA. Imagine that you are removing the cortex of the brain, smoothing out its many folds (or sulci) and laying it flat on a table to measure its depth (which, in the medial temporal lobe, typically ranges from 2 to 3 millimeters, about the thickness of a pencil lead). Now, take that flattened brain tissue, fold it back up and pop it into place. That will help you appreciate that a 10% increase in thickness will translate into a structure that’s more densely packed with brain cells and the connections that lash them together. The study did not find any correlation between subjects’ exercise habits and the thickness of either their medial temporal lobe or its constituent structures. That surprised the researchers, since other work has found that brain volume is generally greater — and cognitive performance is better — in people who work out more. Siddarth cautioned that this negative finding should not be reassuring to couch potatoes. Indeed, it suggests that for inveterate sitters, even regular bouts of intensive exercise will not undo the damage. That’s consistent with studies of sitting’s effects on such health measures as heart disease, diabetes and mortality, she said. “Now we’re finding it in brain atrophy,” she added. The results were published last week in the journal PLOS One. 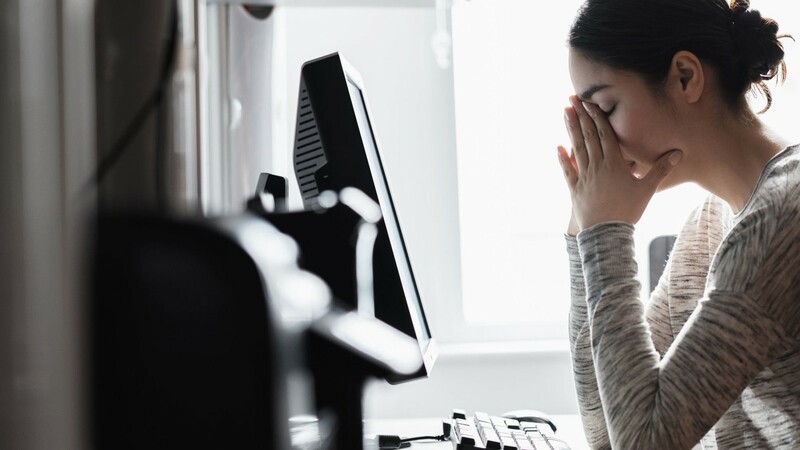 Though the new study sheds no light on why long periods of sitting might thin the brain’s memory structures, there may be clues in other studies that have looked at sitting’s influence on metabolic function and blood vessel health. The brain, of course, relies on adequate supplies of oxygen and nutrients to maintain itself and resist the depredations of aging. If sitting too long is compromising those supplies, then it stands to reason that our delicate cortical structures will have trouble maintaining the volume and density they had when we were young, Siddarth said. For those looking to keep their brains plump and their memories sharp, Siddarth said the message is clear: Get up. Pace while talking on the phone, dance with your headphones on, take a walk at lunch. And if you’re at a computer all day, set hourly alarms that remind you to stand and march around.